Each year the St. Louis Arc thanks its families for allowing us to be part of their lives. 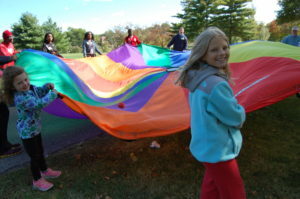 The picnic is held in the fall, with over 400 people in attendance. Families, participants, and staff gather for food, dancing, face-painting, games, crafts, and more. For more information on the 2019 Arc in the Park, contact Tessa Klassen, Special Events Manager, at 314-817-2241.